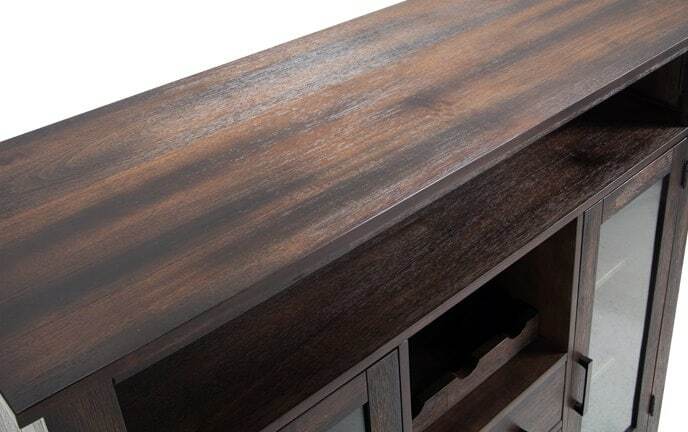 The rustic answer to your dining needs. 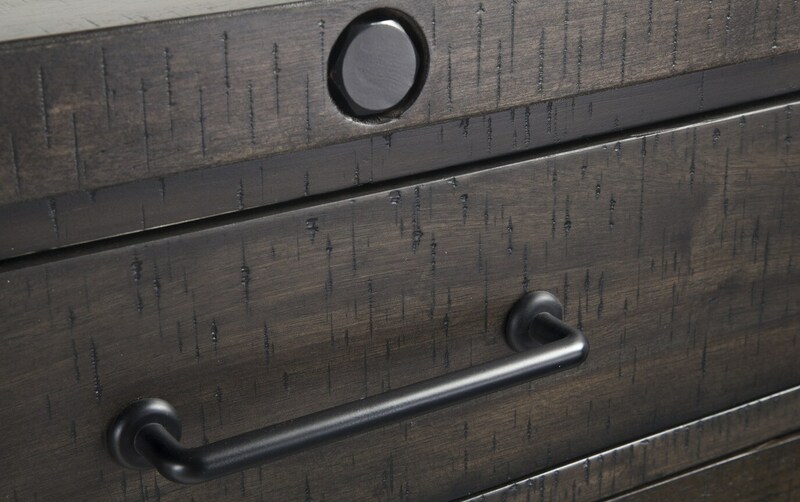 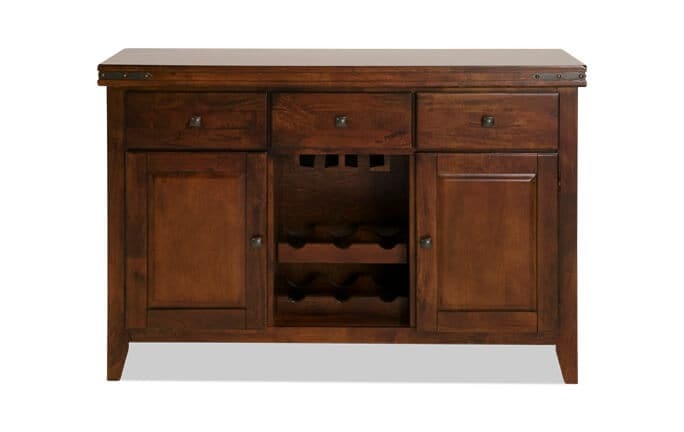 With my Sonoma Server, you can serve spirits- and rustic style too! 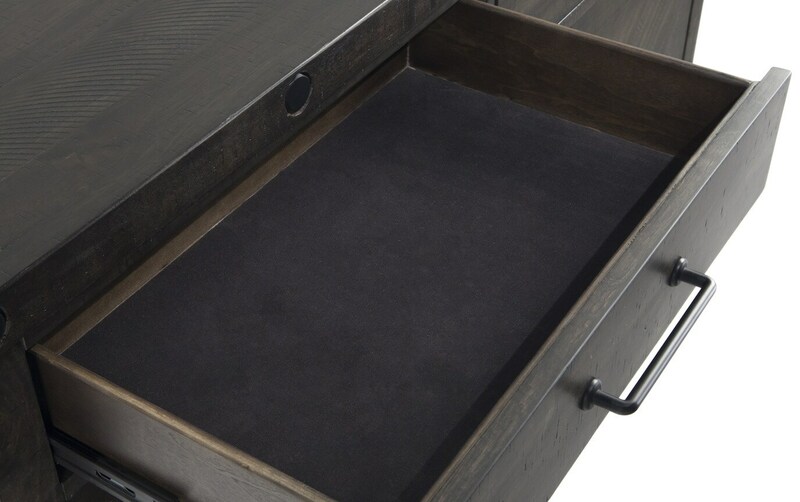 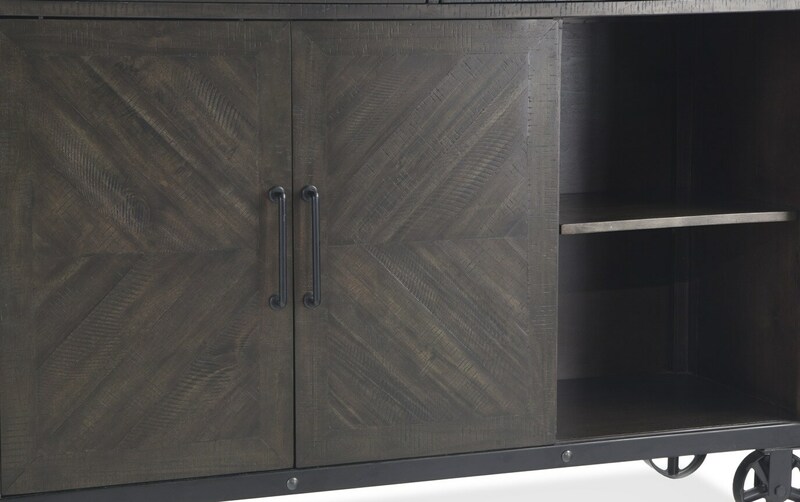 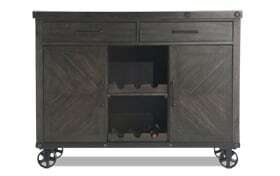 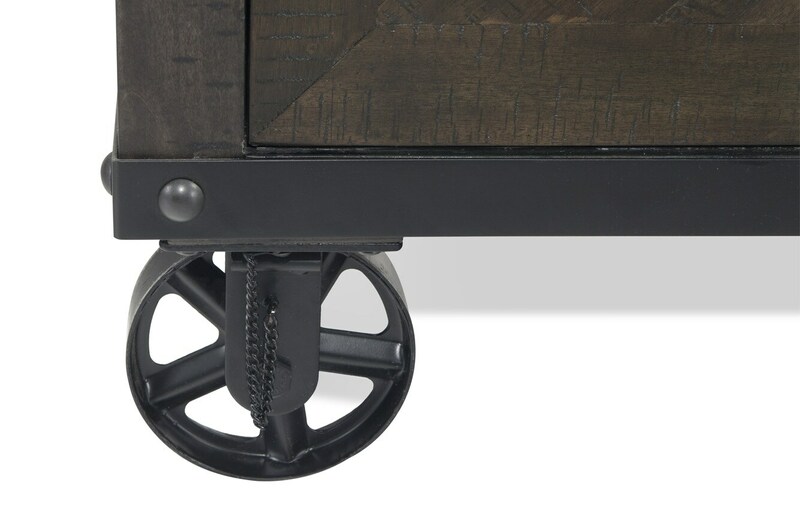 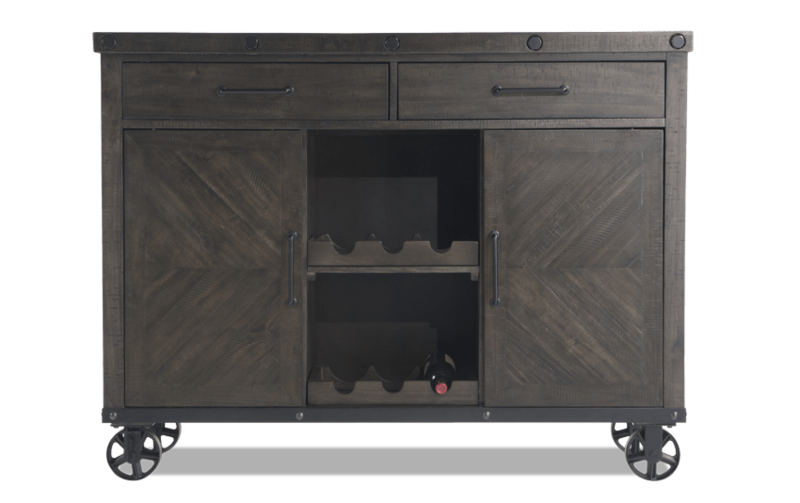 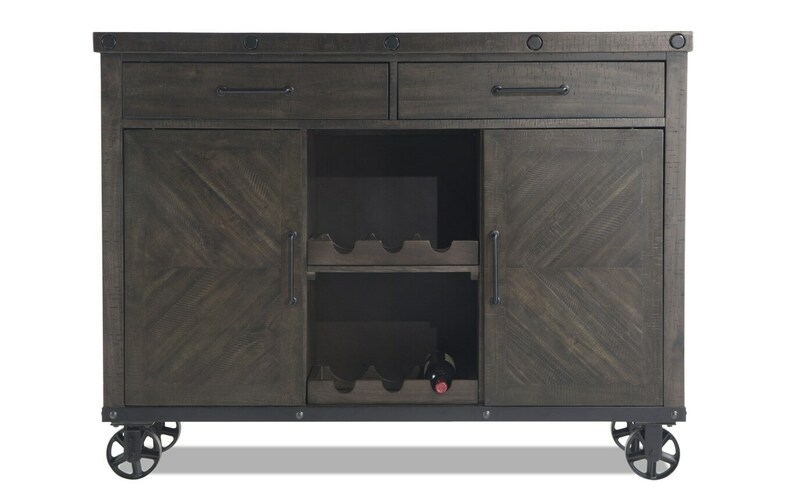 This espresso finish server has casters, classic hardware, and a herringbone design on the sliding doors- to name just a few style points. 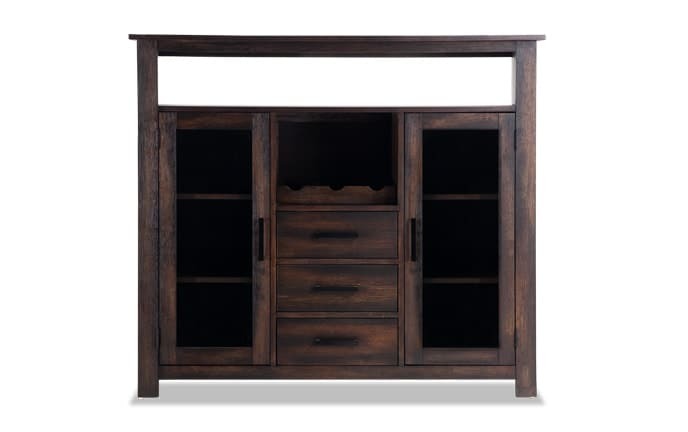 However, you'll love the spacious dining storage most of all! 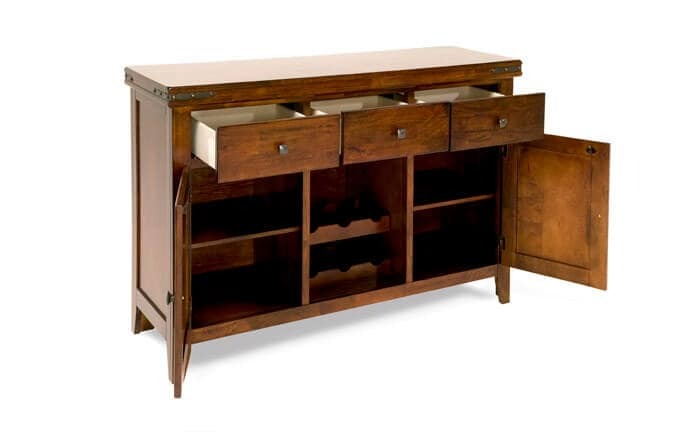 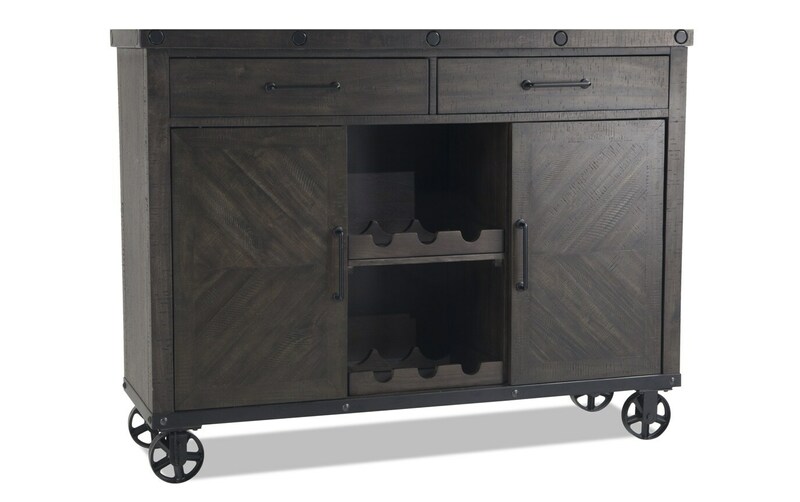 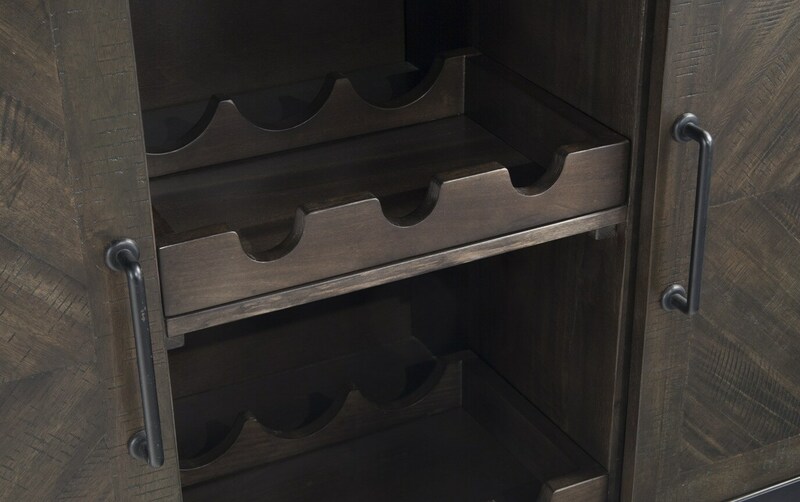 With two drawers, shelving, surface area on top, and wine storage in the middle, you've got that dinner party covered!